Seven messages developed at a city-region climate conference held in Essen (Germany) have been delivered to the UN Climate Change Secretariat and at a COP23 event on cities with industrial legacies transitioning towards sustainability. 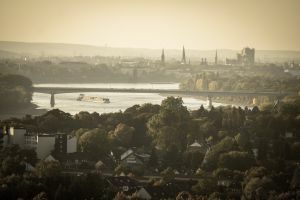 The TWINS Conference Ruhr – Cities in Climate Change met from 6-8 November to discuss urban transitions towards sustainability allow industrial legacy cities to create vibrant, green economies and healthy local environments. The seven key messages were presented to Dhirendra Kumar of the UN Climate Change Secretariat by Karola Geiß-Netthöfel of the Ruhr Regional Association and Monika Zimmerman, Deputy Secretary General of ICLEI – Local Governments for Sustainability. ICLEI’s Secretary General Gino van Begin also presented the messages to an official side-event of COP23, Cities in Transition – industrial legacy for a low carbon future. For more information, visit the TWINS conference website. The final newsletter of the PPI4Waste project has been released following the the final international conference of the PPI4Waste project which took place on 12 September 2017 in Brussels. The conference entitled "Feedback and opportunities for public procurement of innovation in the waste sector" gathered public procurers and suppliers committed to boost innovation in the waste sector. 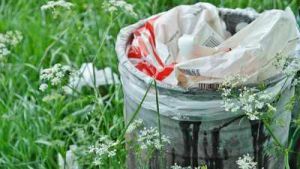 A roadmap for joint or coordinated Public Procurement of Innovation (PPI) in waste management was produced by the project partners is available on the project website. Amongst its conclusions, it is recommended to continue the cooperation on the topic of PPI, for example through the communities created during the project. ICLEI's Procurement Forum will host a successor discussion group on Waste and Resources, open to public procurers, innovation experts and others, as a follow-on from the Interest Group and Purchasing Community established during the project. Presentations and a report of the conference as well as the training, analysis and innovation resources developed during the project are available on the PPI4Waste website. The BuyZET project has released a series of reports on the methods and results of the transportation footprint mapping exercise that identifies high priority procurement areas. These procurement areas have the potential, through improved processes and supplier solutions, to impact upon the transportation footprint of a public authority. The first step in mapping the transportation footprint is to identify and include all activities performed by cities that involve transportation. Each city within the BuyZET project – Copenhagen, Oslo and Rotterdam – has studied the transportation impacts of different types of procurement activities following different methodologies developed within the project. The three reports from Copenhagen, Oslo and Rotterdam are available here, as well as a consolidated summary of the results of the three reports. Launched in November 2016, the BuyZET project is a partnership of cities aiming to achieve zero emission urban delivery of goods and services through procurement of innovation solutions and the development of city procurement plans. The Global Lead City Network on Sustainable Procurement (GLCN on SP) came together at an event at the COP23 International Climate Conference in Bonn (Germany) on 11 November organised by the GLCN on SP coordinators ICLEI to present ambitious sustainable procurement targets. Mayor Park was joined by Governing Mayor Raymond Johansen from Oslo (Norway) and Executive Mayor of Tshwane (South Africa) Solly Msimanga, as well as representatives from Denver (USA), Cape Town (South Africa), Budapest (Hungary), Auckland (New Zealand) and Ghent (Belgium). The GLCN on SP is a group of 14 cities committed to drive a transition to sustainable consumption and production by implementing sustainable and innovation procurement. For more information, visit the GLCN on SP website. 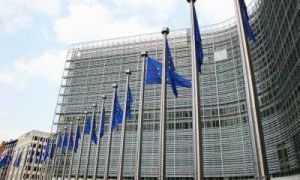 The European Commission has proposed new emissions targets in a Clean Mobility Package, comprising various measures including a Clean Vehicles Directive which promotes the uptake of sustainable transport solutions in public procurement. The Package is intended to contribute to the EU's commitments under the Paris Agreement, under which it must achieve a 40% reduction in CO2 emissions by 2030. In addition to the Clean Vehicles Directive, the Package proposes new CO2 standards for car manufacturers, an action plan for alternative fuels infrastructure, revised approaches to freight and passenger coach services and an initiative on batteries. The Clean Vehicles Directive includes targets for Member States, regions and cities aimed at using public procurement to stimulate an EU-wide market for low-emissions vehicles. The announcement of the Clean Mobility Package coincides with the COP23 international climate conference in Bonn (Germany), and the Package will go through the EU's co-decision process in the coming months. For more information on the Clean Mobility Package, including details of the proposed measures, visit the European Commission's DG Mobility and Transport website. 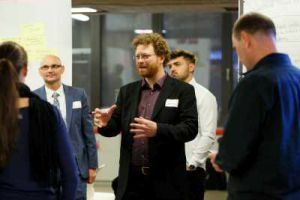 Participants of the Global Lead City Network on Sustainable Procurement will come together in Bonn in November for the network’s 3rd High Level Event, at the COP23. The event will be held in the Cities & Regions Pavilion in the afternoon of 11 November (from 12.00 until 14.00). During the summit, high level city representatives will showcase the sustainable procurement activities and commitments which the participating cities have introduced, and the power these can have in addressing climate change. Chair of the Network Mayor Park Won Soon of Seoul Metropolitan Government (Korea) will be joined at the event by political representatives including Governing Mayor Johansen of Oslo (Norway), Executive Mayor Msimanga of Tshwane (South Africa), and Mayor Bautista of Quezon City (Philippines). Deputy Mayor Sinnemäki of Helsinki (Finland), Vice Mayor Heyse of Ghent (Belgium), Councillor van der Merwe of Cape Town, and Councillor Hulse of Auckland (New Zealand) will also take the stage. The cities of Denver (United States) and Budapest (Hungary) will be represented by high level advisors. It will serve as an inspirational session for other Mayors and cities attending the COP23 to consider the power of sustainable procurement. 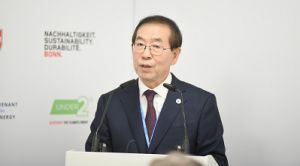 The Global Lead City Network on Sustainable Procurement is an initiative launched by Seoul Metropolitan Government in partnership with ICLEI, with the support of the United Nations Environment Programme and the Korea Environmental Industry and Technology Institute.